MTS files are the video files usually produced by most camcorders. The good thing about video files in MTS format is that a big size of your high definition video could be compressed into these small-sized files in order to fit on tiny cards of small camcorders. But the downside of it is that most media platform online doesn't support this file. So what are you going to do if you want to play your video with your mobile phone? It's simple. Convert the file! Most mobile phones can play 3GP files, so you can convert MTS to 3GP. 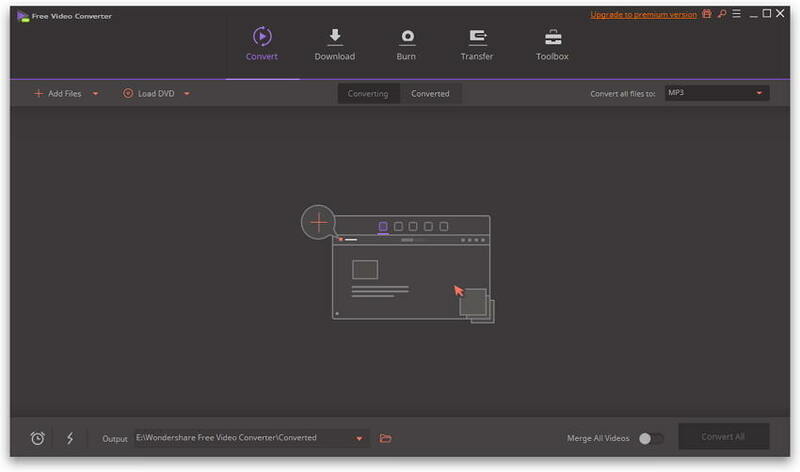 One of the most reliable video converters you can use is Wondershare UniConverter (originally Wondershare Video Converter Ultimate), if you haven't used this program before, below is the step-by-step guide on how to use it. Convert MTS to 3GP, MP4, MOV, and other 1000 formats. Convert MTS to optimized preset for almost all of the devices. Step 1 Download Wondershare MTS converter and import MTS files. Download Wondershare UniConverter (originally Wondershare Video Converter Ultimate) from the donwload link, this software is both available for PC and Mac users. When you are done with your download and installation, immediately launch the software. Import the MTS file you want to convert. Generally, there are two ways to do this. First, Click the + Add File button, the file folder will pop out, locate and selct the MTS files, and click the Open button. The second method is by simply dragging the file from its source folder and dropping it on the software panel. Step 2 Choose the output format as 3GP. Next, click the icon from the Target box and select the Video tab, then choose 3GP in the left sidebar and select the video resolution in the right to confirm the output format. Step 3 Convert MTS to 3GP. Now that you have chosen the output format, you are ready to convert your file. Simply click the Convert All button at the bottom-right corner of the program window as the picture shows. Wait for the conversion to finish and it's done! Your video is now ready to be viewed with your mobile phone. If you want to use this solution for your video compatibility problems, try it now! 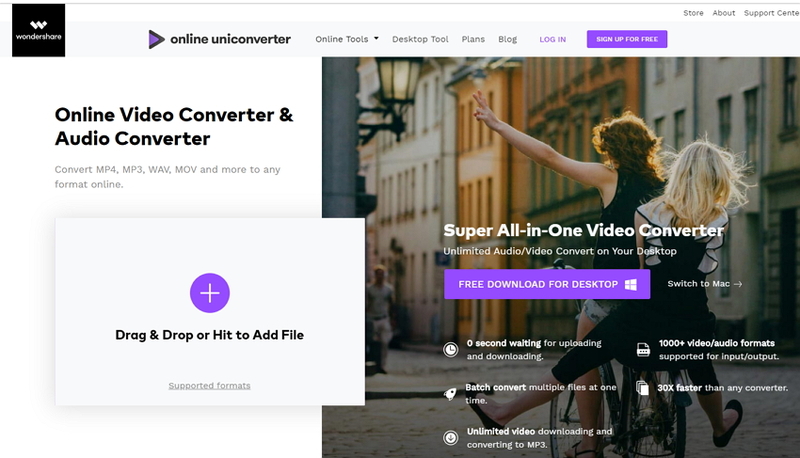 Wondershare UniConverter (originally Wondershare Video Converter Ultimate) is your one-stop video solution for all your conversion needs. 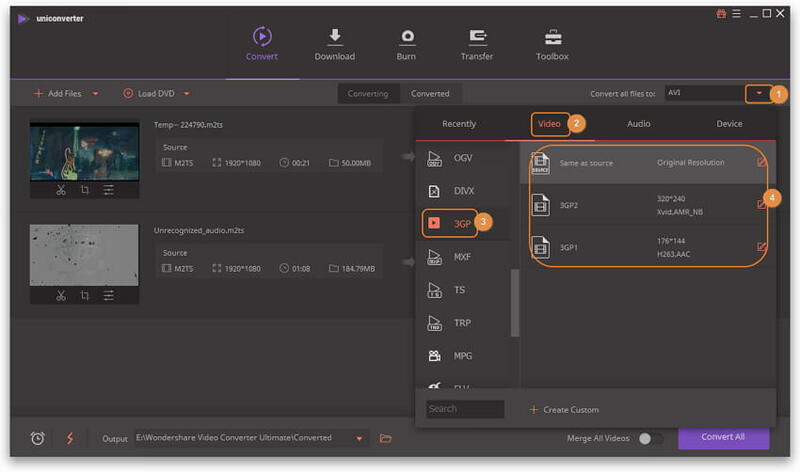 Wondershare Free Video Converter allows you to convert, download, edit, and burn your videos, on top of handling well-organized transfers between the internet, optical media, and hard disk. It has everything you might need in a simple, flexible, and user-friendly interface. 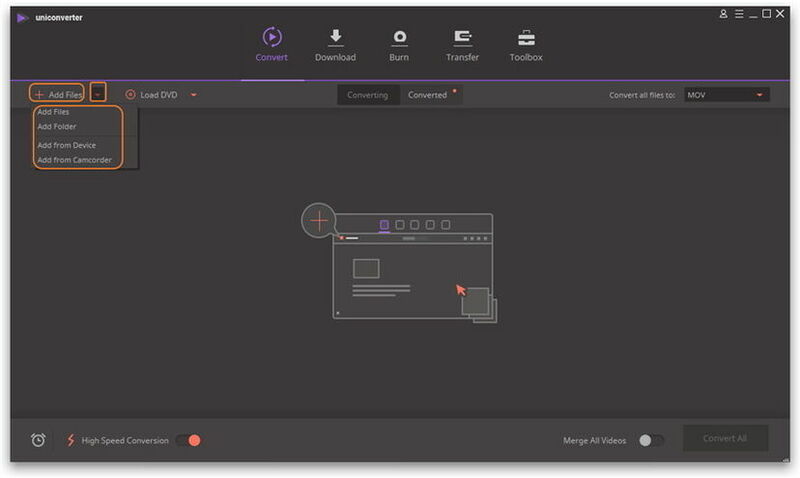 Because of Wondershare Free Video Converter you can now download all kinds of videos from the internet or take video of anything using any kind of devices without having to worry about not being able to watch it or upload it on any video sharing website all over the World Wide Web. And because you can download and use it for free, you don't have to spend money just to entertain yourself watching all the videos or movies you want. Speaking of online converters, you can give Online UniConverter (originally Media.io) a shot. It is accessible from any operative system and can be used from any browser. 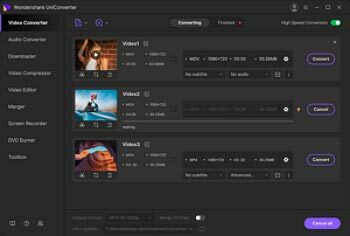 Other than that, Online UniConverter (originally Media.io) is compatible with a very wide range of file formats that not only quickly converts MTS to 3GP but offers you information about the input and output formats with a brief but complete data.